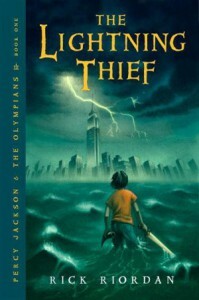 The Lightning Thief is the first installment in Percy Jackson series and my first book by Rick Riordan. 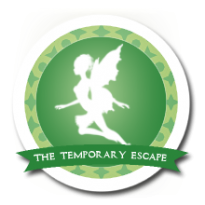 It’s a middle-grade/ younger-YA adventure full of mythological creatures and legends. Considering high average rating and the premise (a young boy finding out he’s different and he goes to special boarding school), I expected something similar to Harry Potter. Maybe I expected too much of this book and that’s why I was a little let down when I finished it. Percy Jackson is a twelve year old boy, who goes to different school every year because he literally attracts troubles. Something weird happens wherever he goes and that’s exactly what happens on a school trip, when his teacher changes into a monster and tries to kill him. Percy’s suspicions are soon confirmed - he’s different. A demi-god, son of human mother and god father, whom he never knew. He goes to Camp Half-Blood, a summer school where all kids are like him and there he meets some new friends, Annabeth and Grover, who is a half-goat. It turns out someone stole Zeus’ master lightning bolt and Percy is a prime suspect. Now he and his friends need to find the thief and return the bolt to Zeus before gods start to fight each other. All in all, I really liked the whole story. It was fast-paced and it never got boring, the writing style was easy to read so pages just flew by. Percy is a mature, brave boy and seeing the story from his perspective was very entertaining. I don’t have any opinion about Annabeth, she wasn’t that interesting and didn’t make any impression on me. Probably my favorite character was Grover, who was very funny and made this book a fun and light read. We meet Zeus, Hades and other Greek gods. I liked learning about all mythological being and stories, but I must confess I didn’t know a lot about them before reading this book. I honestly have no idea what was I doing when we were taking this topic in high school. But it made this book even more interesting for me and I hope to learn more about greek mythology in next Percy Jackson books. What bothered me was how many times the three friends got themselves in troubles, when it was pretty obvious something isn’t right. There should be a red bulb flashing in their minds, but they just ignored it multiple times and this made it a bit frustrating to read. Like when they go to a hotel full of playing machines, where everything is free and they can stay as long as they want. I thought these not-so-clever adventures were just randomly put there for no purpose and they could easily avoid them if only they would only stop and think with a bit of logic. By the way, I still don’t know who was behind this weird hotel and if it had anything to do with mythological aspect of the story. I also figured out pretty fast who the traitor was, but Percy and his friends didn’t get it when it was downright screaming at them. It wasn’t much of a mystery, really. I kept thinking how I’d like this book much better if I was younger. It’s a great read for kids/ young adults, packed with fun and action. If I compare it with Harry Potter (although I don’t know it that’s even fair), The Lightning Thief lacked the breathtaking (especially logical) twists and some great characters. But I’ve heard that it’s the weakest book in the series so I have high hopes for the next one.